Rhett Fox, age 21 of Redig, South Dakota, died tragically on Thursday November 15th, 2018 due to injuries sustained in an automobile accident. Rhett's life will be celebrated 10:30 am Wednesday, November 21st, 2018 at the Harding County High School Gymnasium in Buffalo, SD. Visitation will take place 5 to 7pm Tuesday at Leverington Funeral Home of the Northern Hills in Belle Fourche. Interment will take place on the Fox Family Ranch. Rhett Warren Fox was born October 1, 1997 in Spearfish, South Dakota. He was the son of Robert and Kelly (Brandt) Fox. Rhett was homeschooled for a time and he also attended school in Buffalo and Belle Fourche, graduating from Belle Fourche High School in 2016. He was proud to be from Redig, South Dakota and he made his home as a 5th generation member of the Fox Family Ranch. After graduating from high school, Rhett attended Oklahoma Panhandle State University in Goodwell, OK. In the summer of 2017 he returned home to his own place on the family ranch. He worked on the Sperle ranch for a time, and he also started his own business, Fox Fencing, which he took great pride in. Rhett was a rancher at heart, ever since he was a child. Whether it was showing everything he could in 4-H, being a part of FFA, judging livestock, or having a natural born eye for cattle, Rhett loved the ranch life. Rodeo was also part of his life, and saddle bronc riding was his true passion. He was a well-traveled cowboy. Having just gotten his PRCA card, 2019 would have been his rookie year. 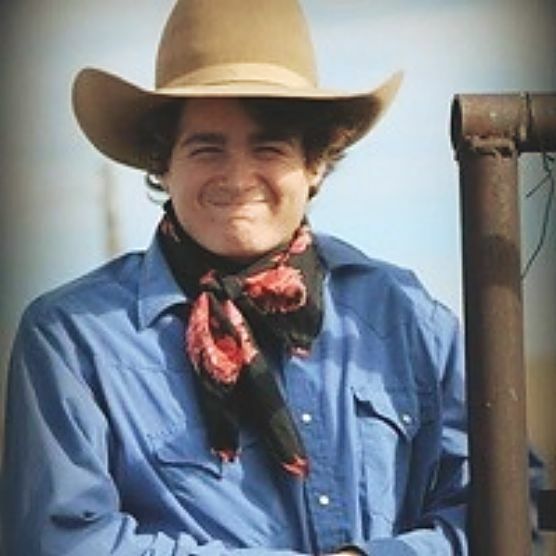 Rhett was a National High School Rodeo qualifier in cutting, and he also had one goal in rodeo. He wanted to win at Wolf Point, Montana because his PRCA mentor was Jake Costello. Rhett also had a leather shop, and he was very talented when it came to working with leather. He was just getting into making saddles and his brand was "RW Fox Maker." Rhett was the type of guy who could be a friend to anyone. He was confident, tough, encouraging to others, and he loved to joke around. He loved to laugh and have a good time and he was a great brother, son, and partner to his dad. He will be missed so much. Rhett is survived by his parents, Rob and Kelly Fox of Redig; sisters, Abby Fox of Redig SD, Kelly Marsh of Tacoma WA; maternal grandparents, Diana and Jamie Mueller of Milan IL, Walter Brandt; paternal grandparents, Mike and Roberta Fox of Belle Fourche.